GIVE US YOUR INSPIRED, YOUR INFLUENCERS, YOUR TRENDSETTERS LOOKING FOR THE LATEST IN LUXURY LIVING SPACES WITH BESPOKE INTERIORS, STAINLESS STEEL APPLIANCES AND A 24-7 CONCIERGE. 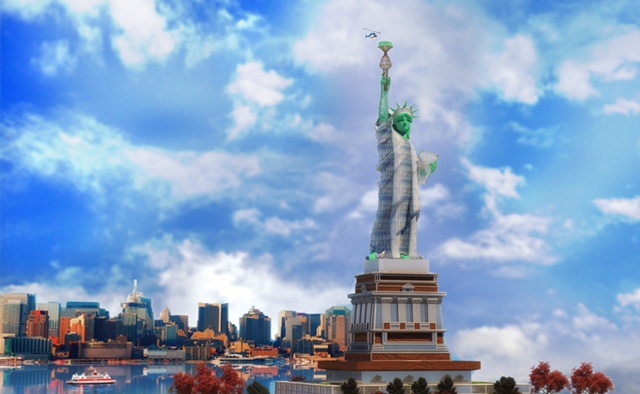 we've re-imagined Lady Liberty for those who dare to live different. 72 impeccable residences by Rafael Viñoly. Waterfront views from gown to crown. The exclusive in-torch penthouse. ONE|LIBERTY™ IS LOCATED IN THE UP-AND-COMING NEIGHBORHOOD OF LIBERTY ISLAND, NESTLED WITHIN THE HISTORIC ELLIS DISTRICT. PREVIOUSLY A BEACON TO WEARY IMMIGRANTS, LIBI IS NOW welcoming ESSENTIALS LIKE SOULCYCLE™, JUICE PRESS™, AND A KITH™ POP-UP. WHETHER YOU’RE EMIGRATING FROM BROOKLYN OR MANHATTAN, LIBI IS THE HIPPEST ‘HOOD TO PURSUE THE NEW AMERICAN DREAM. Evan Krumholz is a premiere New York broker with nearly 500 million in sales to his name. After cutting his teeth at Nest Seekers, Douglas Elliman and The Judy and Judy Team at Brownbrick Feinstein, we welcome Evan to ONE|LIBERTY. Named one of The Real Deal’s “Listed Brokers” in 2017, Evan provides white-glove service to his ultra-exclusive network of high net worth clients, which has included cast members from The Real Housewives of New York City, New Jersey and Beverly Hills. When Evan isn’t crushing deals, he can be found serving on the board of a bunch of big charities or at home with his French bulldog, Eklund. Connor Toole is the lead developer on ONE|LIBERTY™ adding to a portfolio of more than 20 revolutionary projects, including 205 Gateway Arch and The Lofts at Mt. Rushmore. In his spare time, Connor enjoys big game hunting, yacht racing, and redistributing wealth.